Saturday is the most packed day of Indie Memphis 2018. Kristina Amaya, Karla Jovel, and Leslie Reyes road trip through Los Angeles in Sepulveda. 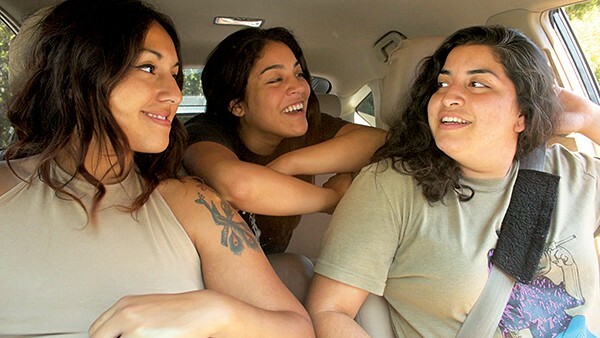 It begins with Sepulveda (10:30 a.m., Hattiloo Theatre), a film about friendship I wrote about in this week's cover story. August at Akiko's (10:45 a.m., Studio on the Square) by director Christopher Makoto Yogi is a meditative visit to Hawaii, made by a native of the island paradise. 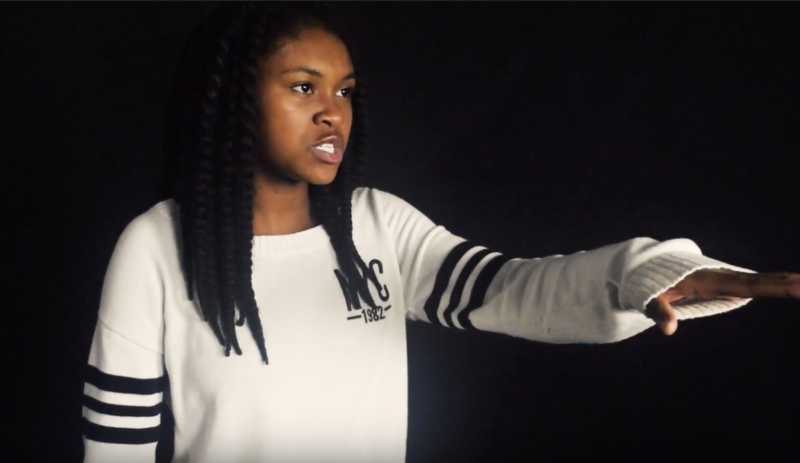 The Hometowner Youth Filmmaker's Showcase (10:45 a.m., Playhouse on the Square) presents 17 shorts from the recent Indie Memphis Youth Festival, including the winning film by 16-year-old Jaynay Kelley, "The Death of Hip Hop". Jaynay Kelley's "The Death Of Hip Hop"
The first Hometowner feature of the day has a distinctly international flavor. Waiting: The Van Duren Story (1 p.m., Playhouse On The Square) is simultaneously a story out of music history and the saga its own creation. 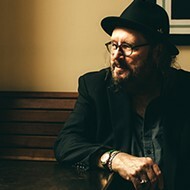 Van Duren is a Memphis musician who spent time in the Ardent/Big Star orbit in the 1970s. His two albums of immaculate, forward-looking power pop fell victim to the same kind of dark machinations as Alex Chilton and company. When Australian filmmakers and music fans Greg Carey and Wade Jackson discovered these obscure records, they had no context for the music and set out to discover the story of how Van Duren fell through the cracks. 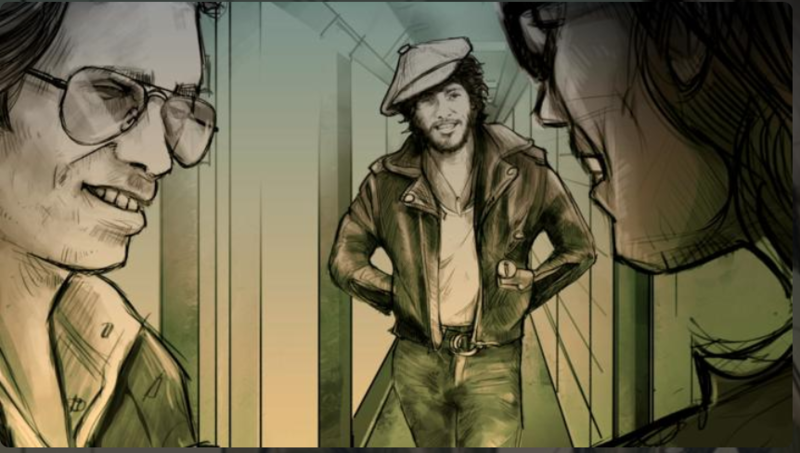 The film chronicles their own journey of discovery and Van Duren's wild ride through the music industry. Both the filmmakers and their subject will be on hand for the screening, and Van Duren will perform at Circuit Playhouse at 3:30 PM. 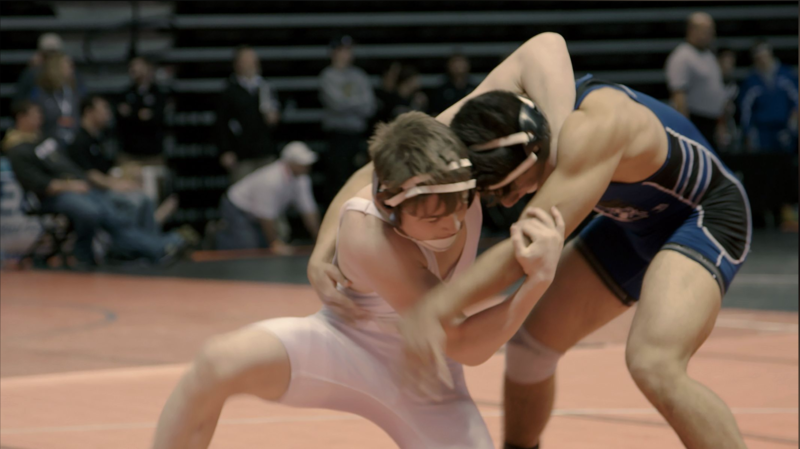 The feature documentary Wrestle (3:30 p.m., Playhouse On The Square) has been on a festival circuit roll lately, taking home both the Audience Award and the Best Sports Documentary Award at the recent Hot Springs Documentary Film Festival. Wrestle, which follows a team of high school athletes from J.O. Johnson High School in Huntsville, Alabama, was praised by the Hot Springs judges for its "intimate and personal cinematography and elegant editing." Co-director Suzannah Herbert has a Memphis connection: her father is artist Pinkney Herbert. When asked about recommendations for what to see at any film festival, I always point people towards shorts blocs. These programs are always full of diverse, different films not bound by the rules of mainstream feature filmmaking. Plus, if you don't like one film, just wait a few minutes and it'll be over, and the next one will probably be better! Shorts are also the best way to discover up and coming new filmmakers. The first of two shorts blocs Saturday afternoon is the Narrative Competition (3:45 p.m., TheatreWorks). The seven short films in this year's main competition come from Canada and the U.S. The 19-minute "Magic Bullet" is from director Amanda Lovejoy Street, who previously appeared at Indie Memphis as an actress in Amber Sealey's 2011 feature How To Cheat. Magic Bullet Trailer from Amanda Street on Vimeo. The Hometowner Narrative Short Showcase (6:30 p.m., TheatreWorks) includes films from Memphis filmmakers Jessica Chayney and Amanda Willoughby; Nathan Chin; Justin Malone; and O'Shay Foreman. 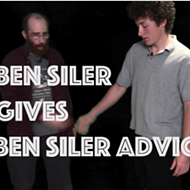 Alexandra Van Milligan and Sammy Anzer's "Stand Up Guys" is episode 3 of a web series by a local improv troupe. "Dean's List" by Daniel R. Ferrell is a high school noir thriller that made its debut at this year's Memphis Film Prize. "U Jus Hav To Be" is a story of workplace ennui directed by and starring Anwar Jamison, an Indie Memphis veteran and film educator. "The Best Wedding Gift" is the latest by prolific comedy director and Indie Grant benefactor Mark Goshen Jones, a two-hander with Savannah Bearden as a scheming bride-to-be and Jacob Wingfield as a best man who is in for a big surprise. 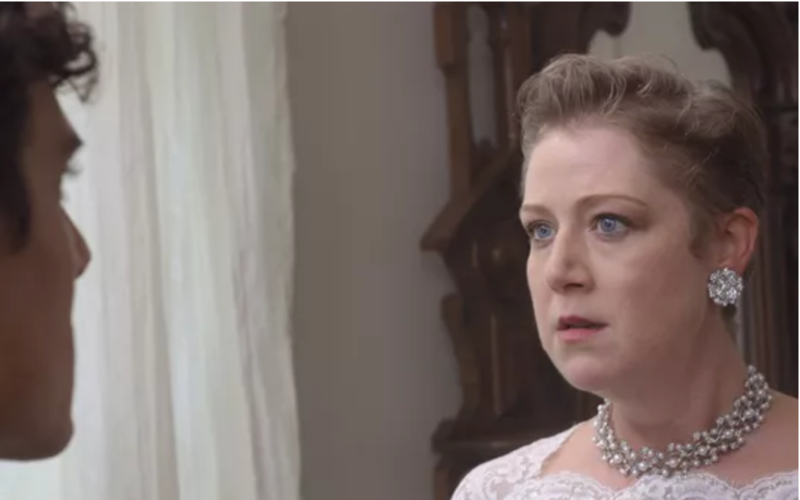 Savannah Bearden in "The Best Wedding Gift"
The Music Video Competition (9 p.m., Theaterworks) brings videos from the US, Israel, Australia, Greece, and this one from the German band Fortnite and directors Sven D. and Phillipp Primus. Fortnite 'Gasoline' TEASER from Sven D. on Vimeo. Finally, at 11:30 p.m., a horror thriller gem from early in the career of Brian de Palma. Sisters stars future Lois Lane Margot Kidder as a knife-wielding psychotic who really, really doesn't like cake.